We have been discussing this interesting topic with Malminder gill, an award-winning Hypnotherapist from Harley Street. The aim of this article is to raise awareness about how our ego can get in the way of our happiness. Think you don’t have an ego? Think again! Every single person has an ego. Researchers have reported a 67% increase in narcissism in the past twenty years. So, this rise in ego, self-entitlement, and expectations might prevent you from finding love. Ego isn’t necessary bigheadedness or arrogance; your ego can be functional. It can help to protect you and give you confidence. In Buddhist terms, a well-coordinated ego can help you to assess your responsibilities, make judgements of what is right and wrong for you and allows you to learn from past mistakes. However, in the world of dating, your ego may be doing you more harm than good. 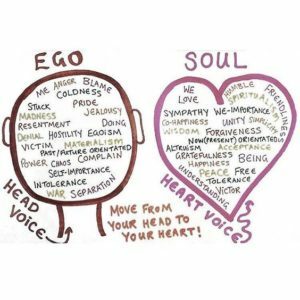 We will break down below how is your ego getting in the way of finding love. Everyone has a front that they put up to protect themselves, as well as and their egos. Most people will have both an inner and outer façade. Not only do people hide their real selves from others but from themselves to a certain degree too. This façade helps to protect you from a fear of rejection and a fear of history repeating itself. If a relationship or traumatic event in the past has hurt you, it is this façade that you use to stop you from getting hurt again. On the other hand, you may do the opposite in order to appease the ego. You may make wrong choices by entering into unhealthy relationships in a way to right the wrongs of the past and make your ego feel better about past mistakes. Freud refers this to as ‘repetition compulsion theory’. When you can’t help but date people who are not right for you or ‘emotionally unavailable’ you are trying to have control over a situation that you failed having control on, in the past. Unlike hearts that want comfort and contentment, egos require approval, validation and a chance to prove self-worth. If you let your ego rule when dating, the façade comes up to protect you in case you don’t receive the approval and validation your ego requires. However, when you have this façade, you can come across disingenuous. Your date will often be able to see that you are putting up a front and not showing your real self. Love cannot flourish when you are not being true to yourself or the other person. When your ego stops you from being and opening yourself up even though it might hurt, it prevents you from finding real and lasting love. We notice the following behaviours when people let their ego take over their love life. When you’re on a date, there is a lot to think about. It may be difficult to spot your ego making its appearance but watch out for these common signs that indicate your ego is leading the way on your date. When going on a date, there is always a risk that it might not be the ideal date. If you believe yourself to be excellent in relationships, this new date could prove your ego wrong. Your ego will not let you be wrong, so will come up with excuses to protect you. These will often be silly reasons that will stop you from liking someone. Perhaps the choice of the restaurant was not good enough, or you did not like the way they dressed. Ego feeds on control, and this can come across on a date through always having to have the last word. If you find yourself having to end each conversation or close an argument, check yourself as to how you are feeling. Do you feel inferior or superior? Is your lack of self-confidence due to your date or due to your own ego? After a date, you are waiting for your date to get in touch with you. However, they might not do so right away, even if they said they would call. If you let your ego take over on this, you might find yourself playing games when they end up calling/texting you, by playing time before answering or by being distant and expecting more from them. Maybe the other person did not call when you expected them to, for the same reason as you. Perhaps their ego has ruled that getting in touch too soon could lead to rejection. If both of you let your ego rule, then you could both lose out on love. You can be very smart, well-read and very interesting overall. However, knowing it all and being assertive about everything can be very annoying, especially if you are in a new relationship. You are not in a contest with this new person, but rather trying to build something together. Being overly assertive is a form of lack of confidence and self-esteem. By trying to show off your knowledge, you are feeding your ego and reassuring yourself that you are good enough for this person. This will likely send insecure signals to your date. When we expect too much from someone we barely know, we could be trying to sabotage the relationship by putting way too many conditions. That way we are safer, our ego is preserved and we think that we are true to ourselves. When in reality we are afraid of letting love in.